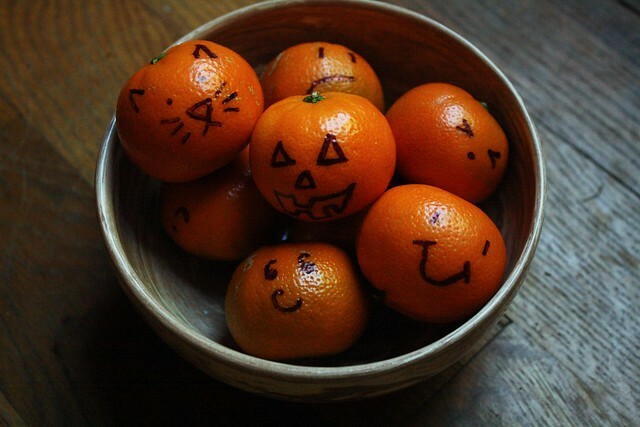 my former housemate, christine choi, used to do this to our clementines. i think this year the kids might get mandarins. this fabric waited a long time to become zippered bags! i got this wonderful embroidery pattern of st. francis from a garage sale, and i've been using the wool thread for various projects. 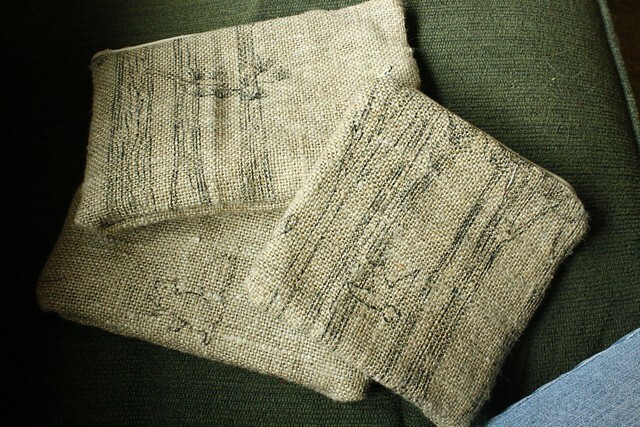 i was inspired to use the linen with the pattern on it for the outside of the bag, and there is a sweet woodsy mushroomed fabric inside. i love using fabric i've kept for so long! it is such a great feeling. do you tend to keep special materials squirreled away for extra special projects as-yet-to-be-seen? 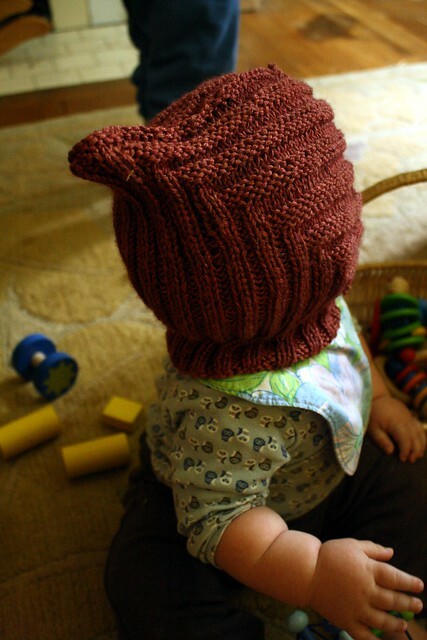 i used the lyalya pattern for this pixie hat. 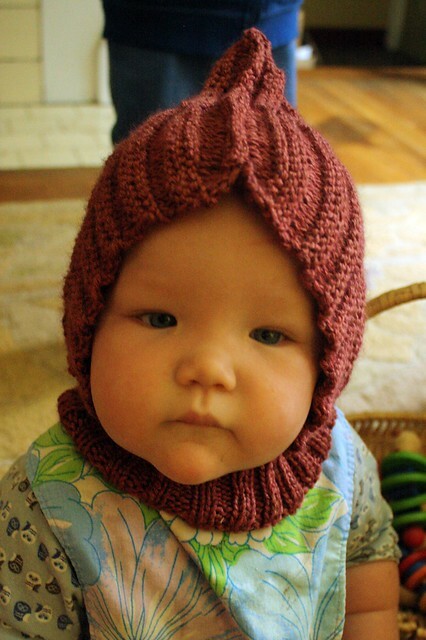 it is almost the same exact pattern as the stella pixie hat. the only difference is the neck bit. i used some of heather's beautiful yarn for this. such a joy! the question remains: will she keep it on? what have you been knitting this fall? but i finally cut his hair afterall. 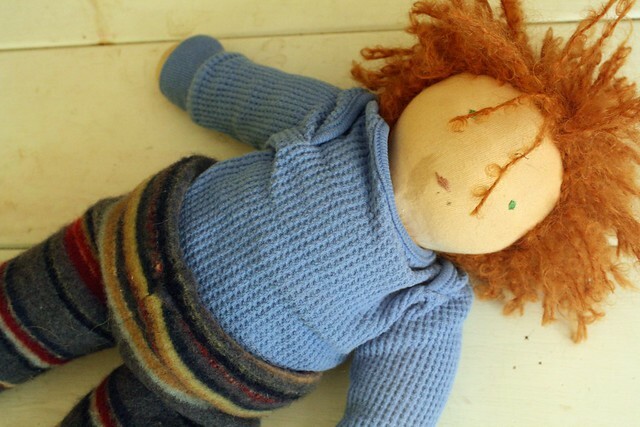 the pristine doll i made before i had children? 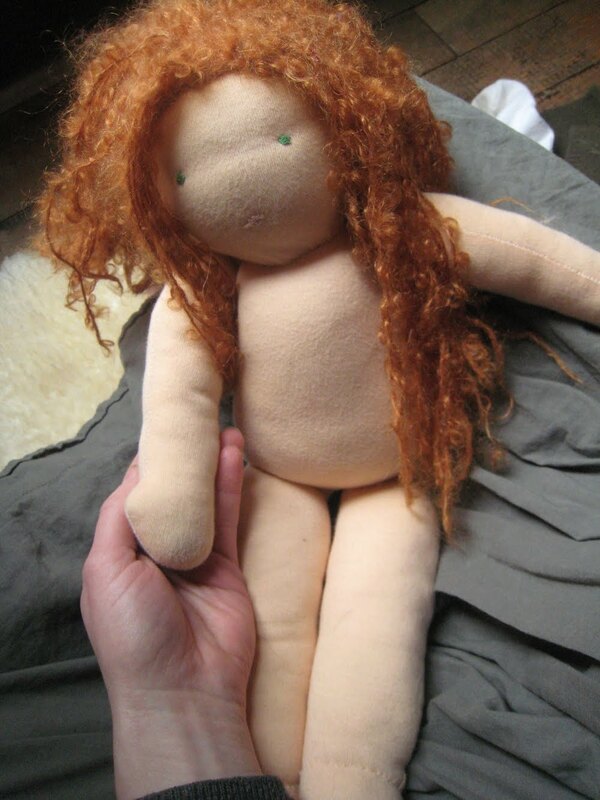 not the doll that actually lives with children. and for azalia? 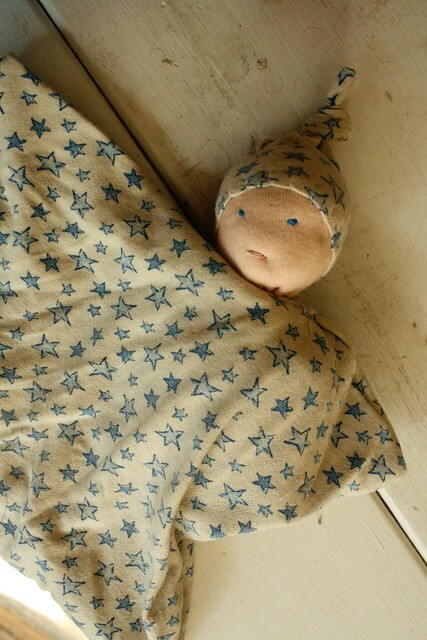 a little recycled pajama pants doll. (and i used the machine).